It is known as Holy basil that grows in India. The aerial parts are used for extraction of active principles. We take pleasure in introducing ourselves as leading firm by offering Basil Leaves. 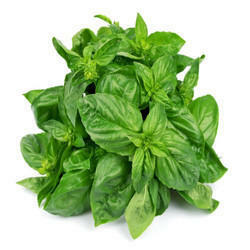 With the help of competent experts, we have been proficient to offer an extensive series of Basil Leaves.